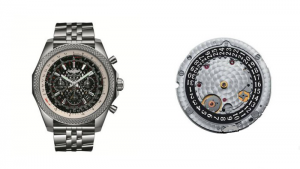 At 2017’s Baselworld Watch Fair, you must be impressed by the fact that Breitling and Tudor joined hands. 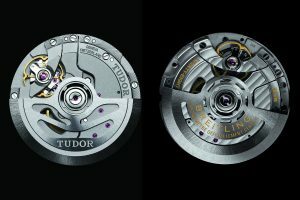 Breitling supplied Caliber B01 for Tudor. 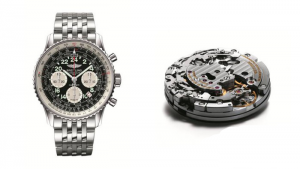 In exchange, Tudor also provided Breitling with Caliber MT5612. It is generally known that there are such disparities between their brand positionings, so the skip-level cooperation confused me. 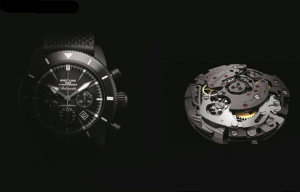 In fact, it represents that Breitling won’t research and develop its own basic movements, and neither will Tudor. The advantage to this is that the cooperation can reduce the development cost and meet their product line. In short, it really kills two birds with one stone. It seems that a number of experts mind it. For most consumers, they are willing to spend money on good watches as long as they are of high quality, good look and good price. 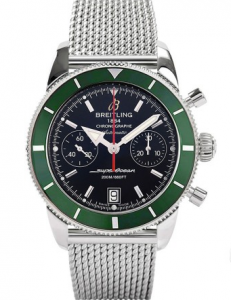 Those who are familiar with Breitling style and brand positioning known that Breitling watches are full of hard lines and cool, and so is Breitling Colt 36 female watch, so it isn’t appropriate for fair ladies. There are different kinds of men’s watches. 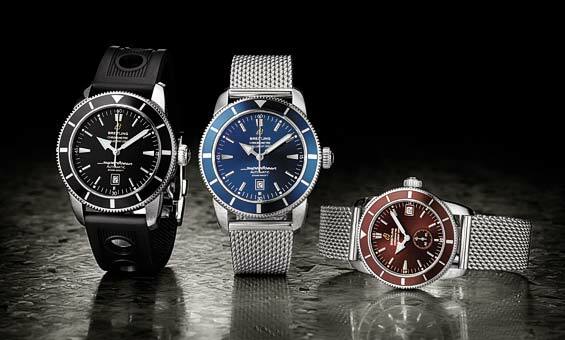 Comparing with Breitling Superocean series-diving tool watches, Breitling Superocean Heritage series stands out its classic elements. 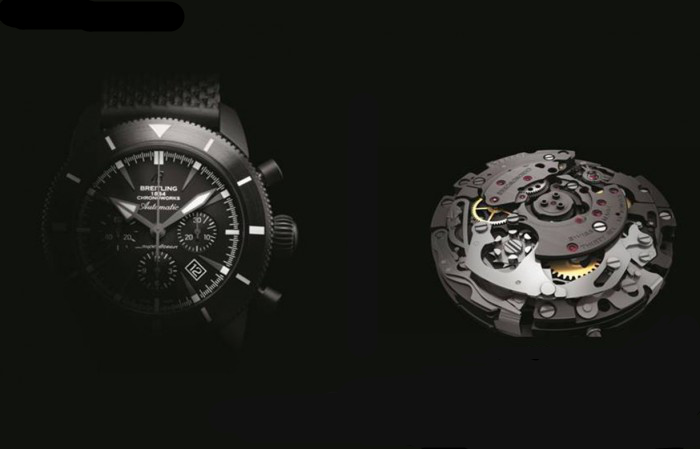 Generally speaking, the logo of Breitling Tool Watch is a capital B with a pair of wings, such as Navitimer series, Chronoliner series, Chronomat series, Avenger series and so on, while Superocean Heritage has a stereo gold B logo, simple but luxury. 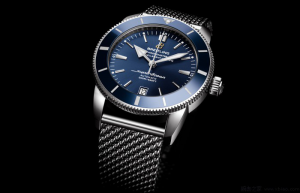 Breitling Superocean Heritage Ⅱ is available in two sizes-42 mm /46 mm. They inherited the main features of Superocean Heritage 42/46, but minor changes exist. 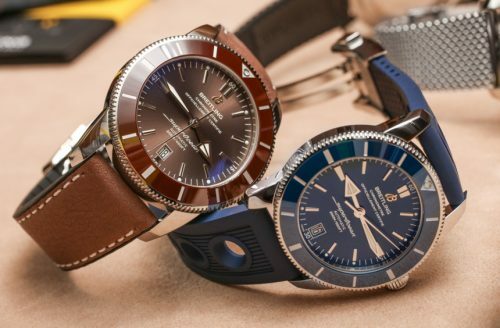 For the hour hand, Superocean Heritage 42/46 has an arrow hand, while Superocean Heritage Ⅱ has a flat arrow within a slim line. The pencil-shaped minute hand was transformed into the sword-shaped one or the rhombic one. It’s clear that the date aperture was moved from three O’clock to six O’clock. 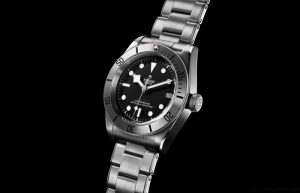 With the ceramic bezel, Superocean Heritage Ⅱ is equipped with a Caliber B20, a modified Tudor Caliber MT5612. Its power reserve extends up to 70 hours. Comparing with Superocean Heritage watch with a Caliber B17-a modified ETA-2824-2, the latest generation has higher performance. 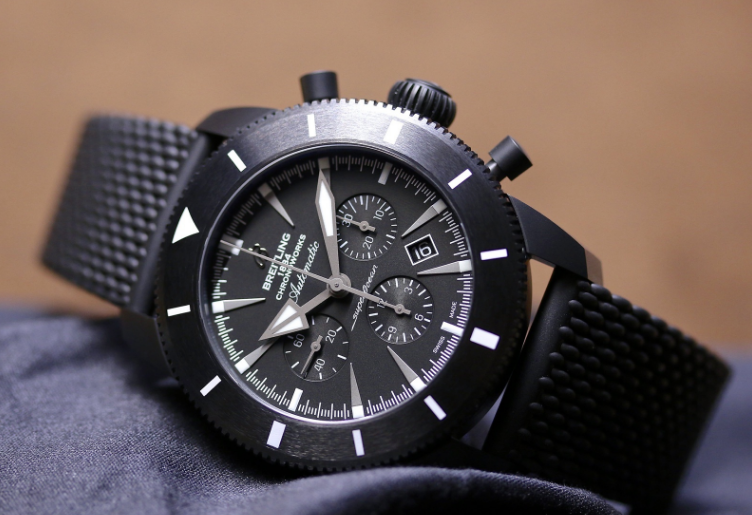 Available in 4 different dials and five kinds of straps, so it caused price variance from $ 3,389 to $ 4,050. 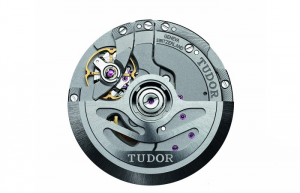 Tudor Heritage Black Bay watch is equipped with Breitling Caliber B01. 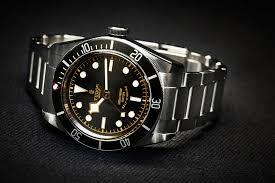 Breitling watch has discount, so its final price is close to Tudor Heritage Black Bay watch’s. 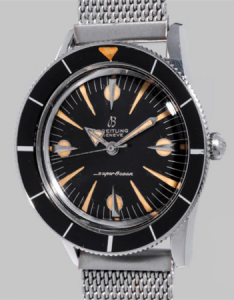 Viewing from the brand positioning and polished B20, Breitling Superocean Heritage Ⅱ 42/46 is worth collecting. 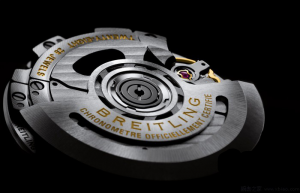 Besides, Breitling also supplies special tailor-made service. Your name can be printed on the watch, or you can assemble a characteristic watch according to your needs. 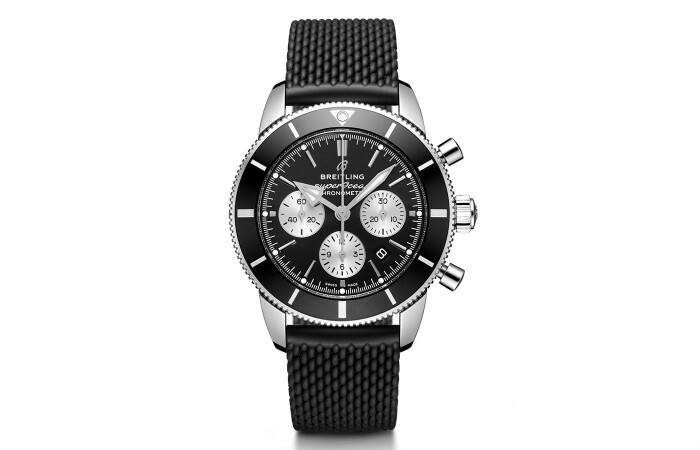 In a word, I prefer Breitling Superocean Heritage Ⅱ 42/46 watch to Tudor Heritage Black Bay watch. 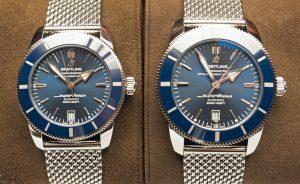 Breitling combined the latest materials with advanced high technologies to design Breitling Superocean Heritage Chronoworks®, whose debut was at the Basel fair in 2016. 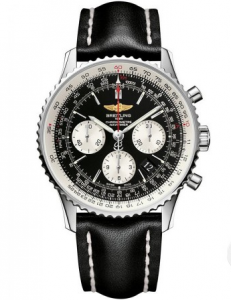 The Limited Edition Breitling watch of 100 pieces sold for $ 39,295, five times more than Breitling ordinary Chronograph. Such high pricing made people wonder why it is worth. 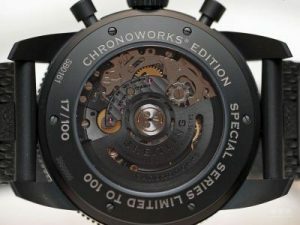 High-tech movement is hard to be hidden in the overall black appearance. 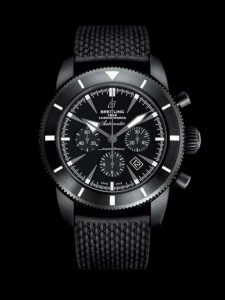 Breitling Superocean Heritage Chronoworks® is equipped with Caliber 01 Breitling Chronoworks® inspired by Caliber 01. 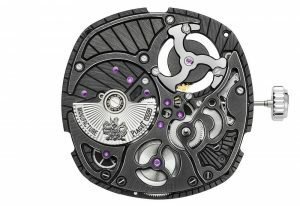 As asuccessful movement, Breitling Caliber 01, self-winding chronograph movement, is furnished with a column wheel and longitudinal clutch. Its power reserve extends to 70 hours. 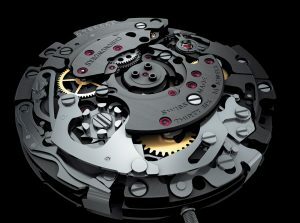 In order to improve higher performance of Caliber 01, engineers and watchmakers have succeeded in increasing the power reserve from 70 to 100 hours, thanks to five major efficiency-enhancing innovations. 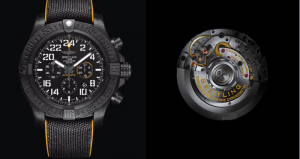 The new improved version is Caliber 01 Breitling Chronoworks®. lubricant-free situation. Hence, the total number of ruby alxes has been reduced from 47 to 36.
center wheel, third wheel and fourth wheel since silion is only half as weighty as ordinary material. 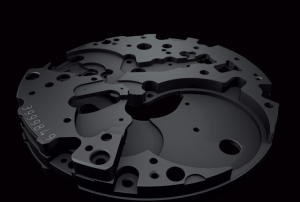 These wheels are made by DRIE (deep reaction ion etching) process, which makes the whole structure more stable. 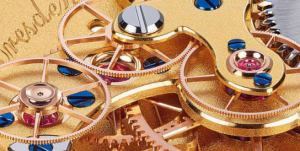 Most of energy losses occurs in motion of the escapement system, so escape system is another part need to be improved. 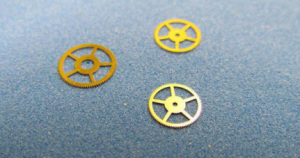 Silicon lever and escape wheel can reduce the weight of Swiss lever escapement and the inertia in operation effectively. 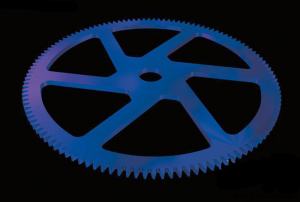 Optimized escape wheel makes he effective utilization rate of barrel kinetic energy increase by 42%. 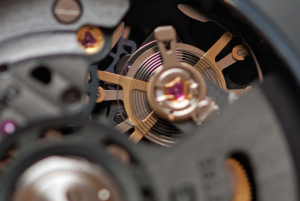 Balance wheel combines the nickel ring with the brass spoke to reduce the inertia by thermal variation suppression. Besides, it is also equiped with four metal weights, aiming at adjusting the accuracy. 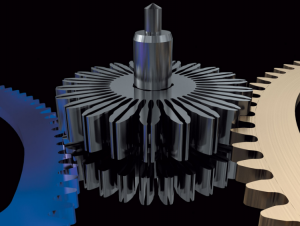 Seconds pinion with elastic toothing is another important nerve center in the longitudinal clutch system and timing components. 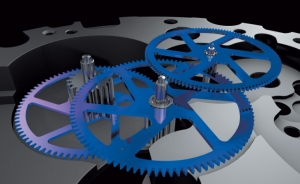 It connects the base to timing components, so that the gear teeth are more attached to the grid. It works in eliminating the friction of traditional springs and improving the transmission efficiency. 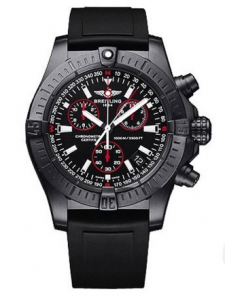 Breitling adopted matt ceramic case to show powerful and modern appearance. 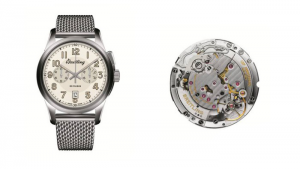 The operation process of Caliber 01 Breitling Chronoworks® can be seen clearly through transparent back. The design for rubber weaving band borrowed from steel weaving band.